When Man couldn't do it, Huskies were called in to finish the tunnel between Britain and France. They have a natural tendency to dig and with awe you can watch them dig large craters in your yard. They might even find that sump pump leak, which was 3-4 feet under the ground. They have an instinct to dig which can be curbed to some extent but not eliminated. Many Siberian Husky owners find the need to keep a towel ready by the door and often cringe at the sight of rain—because when there is rain, there is mud. 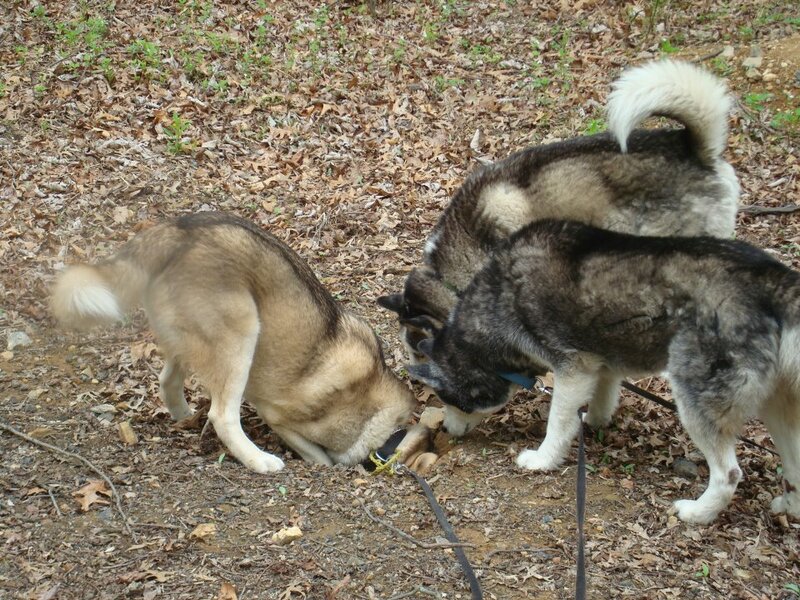 And where there is mud, there are Siberian Huskies standing in the middle. 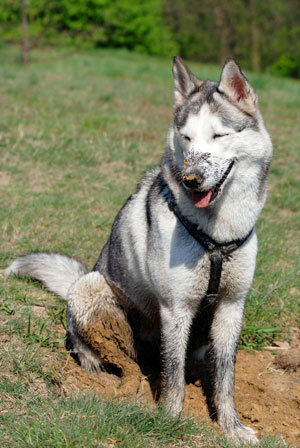 The image of muddy Siberian Huskies is an image that can make some laugh and others cry. 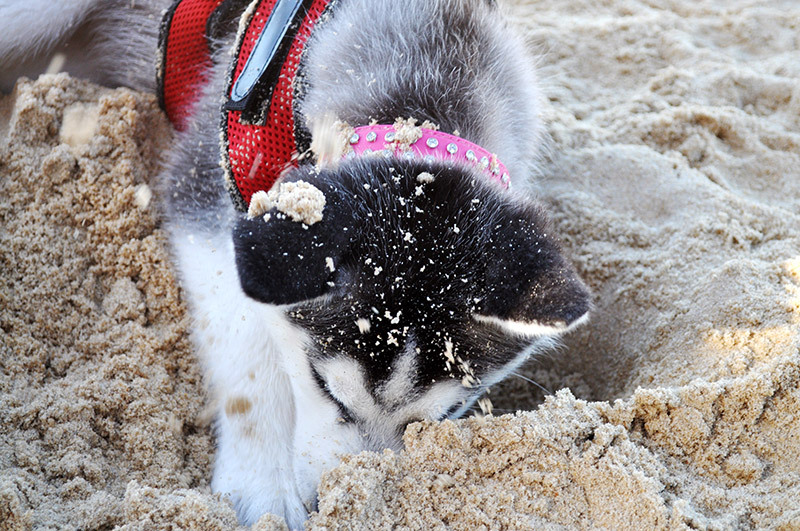 In addition to their natural tendency to dig, Siberians—not unlike most other dogs—will also do some other "light" gardening around your home. One may decide for you that the bush outside needs trimming. Another may try to help your prized rose bushes with a natural watering. With the use of training and/or setting up physical boundaries, the Husky owner will keep their "prized gardens" to themselves and give the Husky their own "novice garden." Forget the garden and learn to use to the words "Oh well!" Are you up for the husky challenge? Here's a quick glance of huskies in action.